With the change of the season, comes time to change up my hair. This season, I’ve taken it to another level as I have gone from long hair to the trendy haircut, the WOB, aka the wavy BOB. 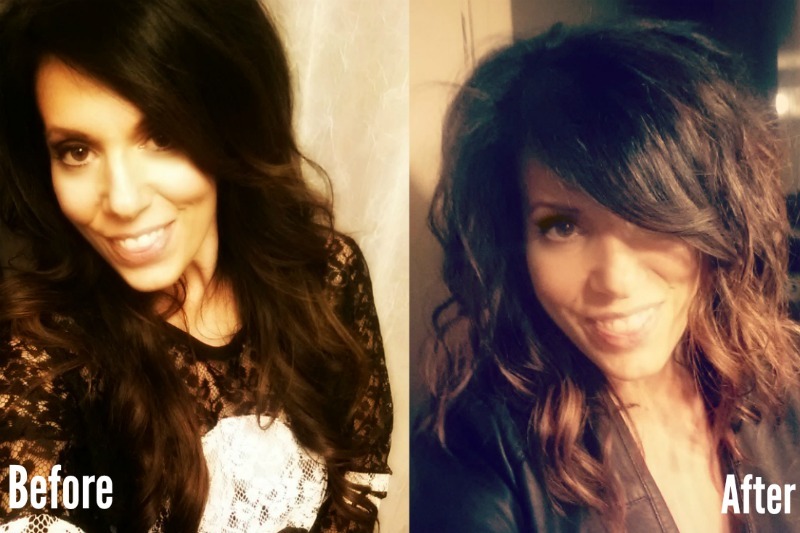 In addition to cutting my hair, early summer is when I redo my highlights. I’m a big fan of burgundy/auburn highlights in my dark hair, as I love the way my hair looks when the sun hits it. See my before & afters below. While I look forward to changing up my hair for summer, this can be a daunting task for some. Whether your want to change up your look by adding some highlights, sombre or even changing your color completely, you need to have a hair checklist! So, if you want to find out how to pick the perfect summer hair color & maintain it, continue reading! Ideas: It is important to have some ideas in mind of what you want. If you don't, why not seek some ideas from a magazine, TV or a professional,? But keep in mind, picking a new hairstyle from some of these inspirations isn't the only prepping you need to do before you plunge into some new locks of color! What Color: Before you pick a new color there are some things to consider to help in selecting the best one. The most important thing to think about is your skin's undertones. Knowing your skin's undertone will help you to pick the color that will best suit you. As selecting the wrong color can make you look washed out, tired and worst yet, older. On the other hand, if you do choose a color that best fits your skin's undertones, your skin tone will appear more radiant and bright. How To Determine Your Skin's Undertone: Determining your skin's undertone isn't always as easy as some make it out to be. First off, what does this mean? Your skin's undertone is the color under the surface of your skin. This is why some end up with a hair disaster because while their skin color may be similar to an actress you've seen on TV, the actual skin-tone could be different. Option 1: The easiest way to determine this, is to look at the inside of your wrist. You want to take a look at your veins to see if they are green or blue. Option 2: If you are having difficulty with option one, you can look at the color of your skin. The color of your skin: If you have medium skin color with a faint pink or pale skin with no color in your cheeks, you are cool. Veins: If your veins are blue, you are a cool person. Best Hair Color: According to my stylist, if you are a cool person, the best colors for you are Ash blonde, Sandy Blonds, Violets, Auburn, Black. Mahogany, and Coffee Brown, just to name a few. Hair COLORS to Avoid: Bronze, red or yellow pigments. The color of your skin: If you have pale skin with peach or golden you are a warm person. Veins: If your veins are green, you are a warm person. Hair Colors: If you are a warm person, colors that will look best on you are shades of golden blonde, honey browns, dark browns, copper, strawberry blond, orange-based colors, and reds. Colors to AVOID: Blue, violets, and jet black pigments. 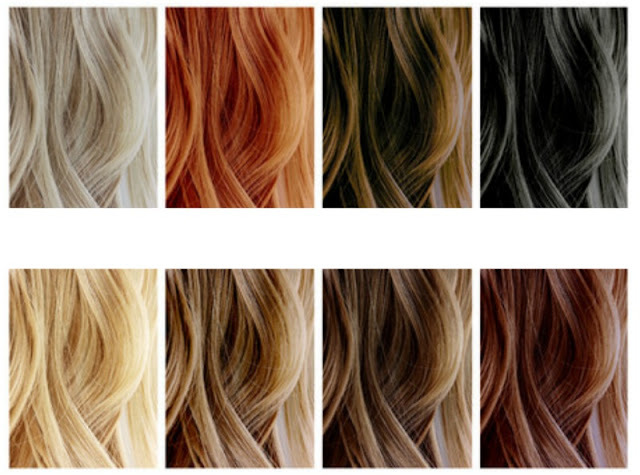 If you still need some help in determining your perfect hair color. Madison Reed has an excellent Hair Dye color guide. Products: If you don't want your hair color to wash down the drain (and your money too), you need to make sure that you are properly taking care of your hair! You want to be using a color safe shampoo & conditioner. These products are designed to maintain the hue, prevent fading while keeping your hair soft and healthy. Why do these work better? These unique products are made to seal your hair cuticles, so your hair holds onto the dye longer. Maintenance: You need to make sure you refresh and upkeep your hair. This step is one that I take plenty of precautions because the color red I have in my hair quickly fades. According to my stylist, red pigments fade the quickest because the molecules are larger, which sit on the outer layer of the cuticle. Hair pigments with smaller molecules are best as they penetrate deeper into the cuticle layer of the hair shaft. The deeper the color, the longer it will stay. Don't Overdo Shampoo. You should wait at least 48 hours after you color your hair before you wash it. Washing tips after this; keep in mind the more you wash your hair, the quicker the color will fade. Even if you are using the correct products, water, unfortunately, is the biggest contributor to fading color! Dry Shampoos work wonders! Protectors: Make sure if you are using any heated device, that you apply a heat protector on your hair. You should also invest in a UV protector along with some Moroccan or argon oils. Stay Out Of The Sun: Yes, with summer it is hard, but the sun can cause your color to fade. So, if you are outside for an extended period, I suggest a hat. Hats are really big this season, so you'll fit right in with the trend while protecting your tresses. 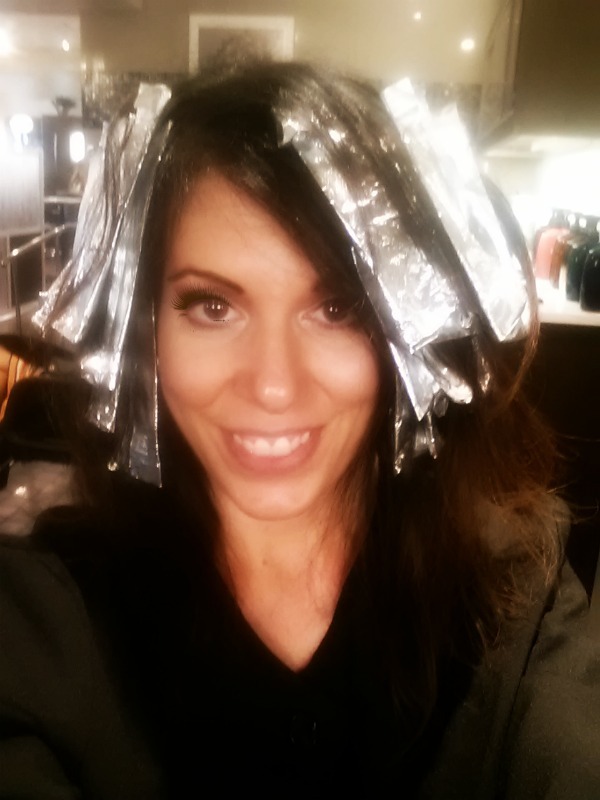 Refreshing the Color: There are root touch up products you can use if you are in a pinch. You can also use a color enhancing rinse between coloring's. But overall, you to want you want to make sure that you are keeping your roots & color up to date! Depending on your growth, you will need to do this every 4-8 weeks. Bonus Tip: I know I said only 5 tips, but YOU DO deserve the perfect color! If you are still not sure about what color will work for you, Madison Reed has made it simple for you to find it! Their online Color Advisers will guide you through a few simple questions to present you with the shades that will be perfect for you, your hair, and your skin tone. You can go to their website, chat or better yet you can call them at 1.888.550.9586! So HAIR there you have it beauties, my Summer Checklist To Selecting The Perfect Hair Color & Maintaining It!